London (AFP) – A middle-aged British mother-of-two and former rock band member has joined jihadists in Syria and wants to behead Christians with a “blunt knife”, British media reported. The reports identified the woman as Sally Jones, 45, from Kent in southeast England, and said she now goes by the name Sakinah Hussain, or Umm Hussain al-Britani. Security experts estimate that hundreds of Britons have gone to the Middle East to join the Islamic State (IS) militant group, the most brutal to emerge out of Syria’s bloody civil war and the most successful. The well-funded group controls large swathes of Syria and Iraq and has proved adept at using social media to boost its profile, attract recruits and terrify enemies with images of mass executions and battlefield victories. Last week another female British jihadist reportedly in Syria, known as Khadijah Dare, purportedly tweeted that she wanted to be the first woman to kill a British or US “terrorist”. The Daily Mail and the Sunday Times alleged that Jones, a convert to Islam, travelled to Syria after an online romance with convicted 20-year-old computer hacker Junaid Hussain, and is now based in the IS stronghold of Raqa. Jones’ Twitter account was still active on Monday, but could not be independently verified and the post quoted by the newspaper was not on her timeline. 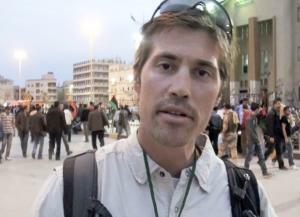 The alleged threat is likely to be taken seriously by British security agencies after an IS video posted online last month showed a man with a British accent appearing to behead US freelance journalist James Foley. The brazen execution heaped pressure on Prime Minister David Cameron to toughen anti-jihadist security measures, and Britain has since raised its terror alert level to “severe”, citing the threat from returning jihadists. Jones’ twitter account banner page features a photo of man who appears to be Junaid Hussain, and another tweet says she and her “husband” — presumably Junaid — had been stuck in Syria’s northwestern city of Idlib for seven months before joining the “khilafa”. The “khilafa” is the Arabic word for caliphate, a sovereign, religiously led state IS have declared in lands they control. Cameron is expected to outline tougher measures against jihadist suspects later on Monday.